The biggest and best interactive national skills experience of all time – WorldSkills UK LIVE – drew to a close at the NEC, Birmingham on Saturday (November 17th). More than 85,000 people, virtually the capacity of Wembley Stadium, pre-registered for the three-day skills fest – an all-time record. 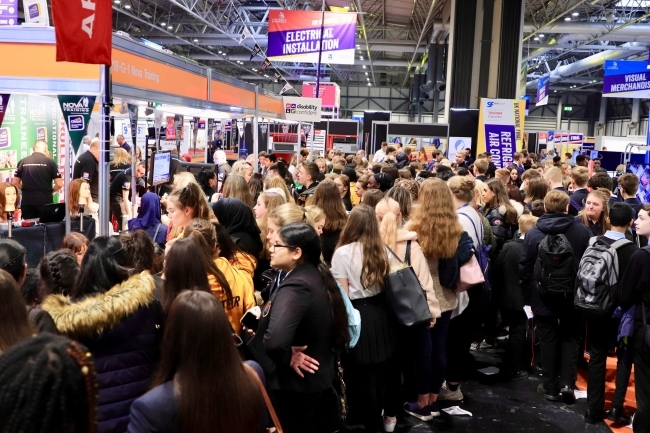 Enormous queues developed on the final morning of the show as young people and their parents took the opportunity of meeting some of the country’s biggest businesses and explore the options of taking technical pathways to the world of work. Dr Neil Bentley, CEO of WorldSkills UK, said: “This has been the biggest and best skills event that the UK has ever seen. Undoubtedly, we have helped change thousands of lives for the better. “We have brought together governments, business and education to get the message across that gaining a skill will help young people go further, faster. This week proved to be a major milestone in our mission. The National Finals of the WorldSkills UK competitions saw more than 500 competitors battle it out in 70 different disciplines– in a bid to be the very best in the country. Winners will get the chance to be considered to represent the UK at the international competition.